Seventeen months later, in July of 1953, Camp Barakel hosted its first campers at the new site. God had provided resources and volunteers to put up four buildings. About these early days, Uncle Johnnie writes in his book Barakel: God’s Miracle, “We didn’t put out letters or pleas in any shape or form. To doubt that God would make the necessary provision-I don’t believe that ever entered my mind. We worked as hard as we could. When someone else came to help, it made the job half as long and we were grateful for every helping hand.” Today, by God’s grace, we continue that heritage of waiting on Him for money and workers to accomplish His work. 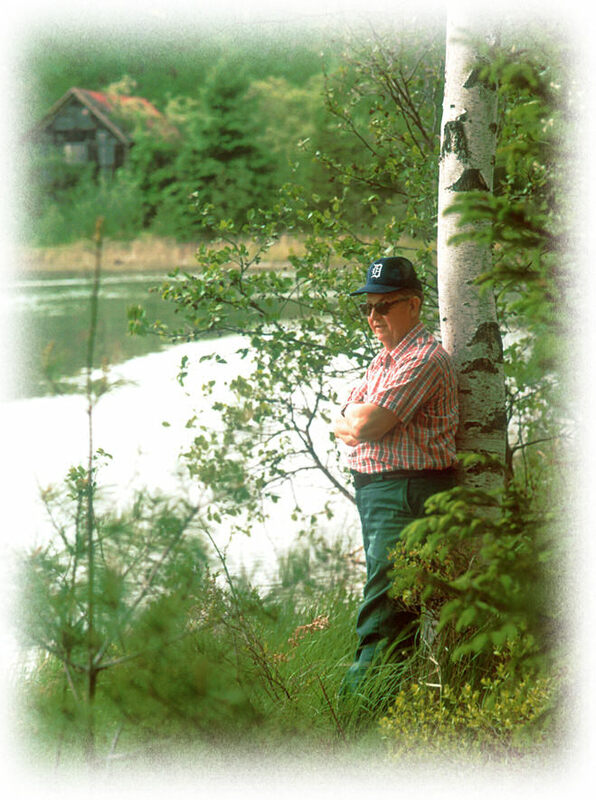 God answered that prayer, providentially moving His people to give what was needed not only to purchase the beautiful, pristine lake and 200 acres of lush forested land, but also for the buildings and equipment for a year-round camp — all without even one fund-raising drive or plea for money, and all without ever going even one penny in debt. That prayer started a half-century-long string of miracles which continue today. Uncle Johnnie, who was widowed twice, said God’s provisions were so large and so faithful, “all we had to do was unload the wagons.” The camp now sprawls over 350 prime acres and houses two complete camps — one on each side of Shear Lake. Today, as throughout past years, Camp Barakel is proclaiming the glory of God during youth camps in the summer, adult weekend retreats in the fall, high school and father/son, mother/daughter retreats in the winter, as well as two family camps, on Memorial Day and Labor Day. A resident missionary staff of 15 families and short-term staff volunteers, numbering 600 a year, perform kitchen, construction, waterfront, programing and various other duties. In a year’s time, more than 10,000 adults, youth and children pass through Camp Barakel either as retreaters, campers or volunteer workers. Only God knows how many people have heard the gospel of Christ proclaimed while at Barakel. Camp Barakel is represented throughout the world by men and women who were saved here or made commitments to lifelong service, and serve as dedicated lay people, missionaries, pastors, youth leaders, and Christian education workers. If you would like to read more of the story of Camp Barakel, please request a copy of the book that Uncle Johnnie wrote in 1989, BARAKEL—God’s Miracle. You may purchase it at the Camp Barakel Trading Post for $12, or through the mail (postage paid) for $17. In 2004, Kevin VanOrman wrote a short essay about his memories of Uncle Johnnie from when he was a staff kid growing up at Camp Barakel. We thought you might like to read it.